Go vegetarian this week! 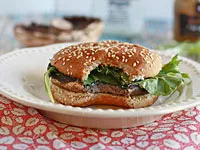 Portobello mushroom caps take the place of a burger (and taste better too!) when they are slow-roasted and combined with melting goat cheese crumbles on soft rolls. And remember egg salad? Well, this retro classic is back and better than ever—and perfect for lunch boxes! Make the veggie lasagna on a Sunday night and enjoy leftovers all week. Or freeze before baking and bring it out when you're too busy to cook! 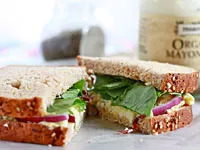 You'll never believe how delicious and hearty these vegetarian sandwiches are!